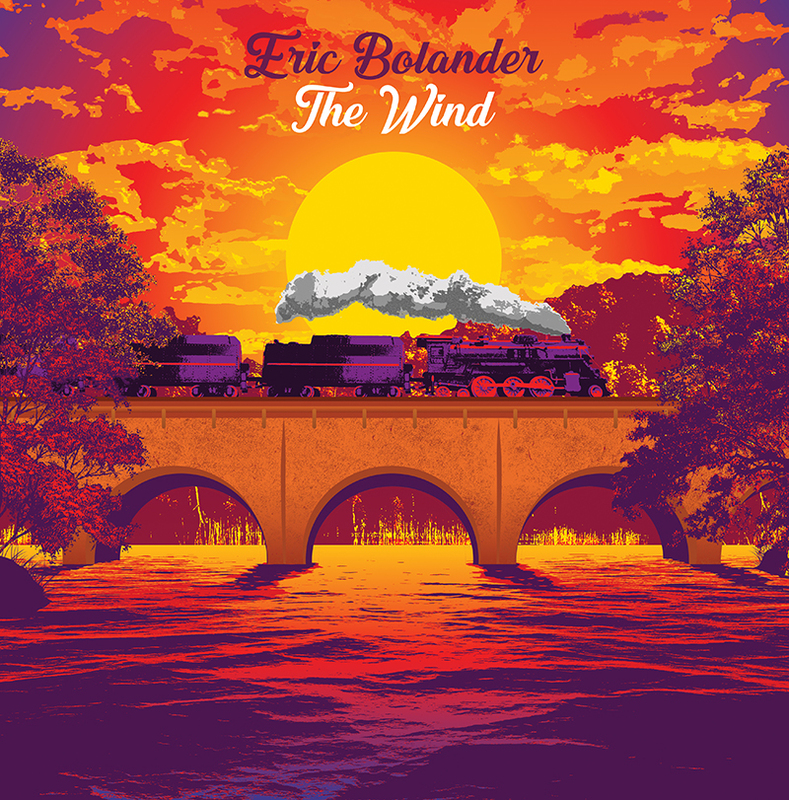 Exclusive Album Premiere: Eric Bolander Is Set To Release ‘The Wind’ 3/29. Hear it here first! Lexington’s Eric Bolander releases his album, ‘The Wind’ on March 29th. He will also be playing The Burl on the 29th to celebrate and we’ll be there to enjoy the occasion! If you’d like to join us, you can purchase your tickets here. You can also slide over to our Facebook for a chance to win an autographed copy of ‘The Wind’ and two guest list spots for the show at The Burl on Friday! We’ll keep this article short and sweet so you can enjoy the album on your own. First, I have to say that Eric Bolander is one of our favorite Kentuckians. 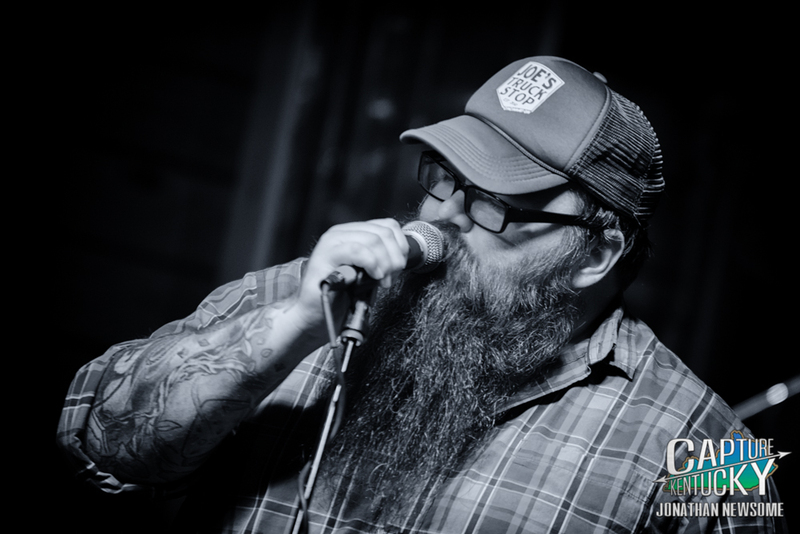 From his art to his music, Eric is a true Kentucky treasure who likely has the best beard in any room he walks into. Hidden behind that majestic beard is a gentle soul and a loving heart. So when we were approached to premiere his latest release, ‘The Wind’, we jumped at the opportunity! With ‘The Wind’, Eric showcases who he is and does so by adding in layers of instruments that create a musical atmosphere that is uniquely Kentucky. Take “The Road” as an example, Eric’s acoustic guitar and vocals are accompanied by Seth Murphy on cello and he adds in Trenton Jenkins on the banjo. In his take on the classic Prince tune “Purple Rain”, Bolander delivers a rendition that is a complete reinvention of the song and even adds in a saxophone solo to top it all off. Then there’s “Fly (Ava’s Song)”, which is mainly Eric and a piano. Eric has really grown as an artist over the last few years and ‘The Wind’ is an enjoyable extension of the aforementioned gentle soul and loving heart. So sit back, listen, enjoy and repeat! Below is Eric Bolander’s bio and links. See y’all very soon! Human beings are surprisingly resilient creatures. Through honoring his grandmother, singer-songwriter Eric Bolander weathers his own emotional firestorm with his new record The Wind. It’s a brooding, often languid, folk set-piece weaving in and out of tales of drug addiction, religion, renewal and the birth of his two-year-old daughter. He casts off his hard-rock outer shell for a more traditionally-rooted and sensitive storybook, steeped in heartfelt emotions and embodying the endurance of the human spirit. Much of his work has been scattered in the rock music scene through the years. He’s mounted numerous creative endeavors, including rock bands Modern Day Relic and Alcatraz Shakedown, and made enduring friendships with the likes of producer Duane Lundy (Sturgill Simpson, Ringo Starr) and Americana troubadour Arlo McKinley among countless others. He excavates such timely themes with refreshing bravery. Even with an organic interpretation of Prince’s iconic “Purple Rain,” he manages to reconfigure the song’s intent, barrelling through the downpour with a profound sense of replenishment. Cello aches through the production in drips, expanding the inherent emotional weight and giving Bolander a chance to flex the full extent of his skill set. Pop covers are a dime a dozen these days, but the care Bolander takes in adhering to the original’s structure while soaring outside the lines just enough is a marvel. The album features such other players as Seth Murphy (cello), Ben Caldwell (drums, backing vocals), Vandaveer’s J. Tom Hnatow (pedal steel), Matt Polashek (sax) and John Ferguson (keys) and tears each shade of emotion with a fire-quenching passion. Bolander’s sensitivity to the human condition stems primarily from humble roots in the small eastern Kentucky town of Garrison, stretching at the edge of the Appalachian foothills and running along the Ohio River Valley. Growing up in a low-income household instilled within him a sense of hard work and fighting for what he wanted in life. His mother was a homemaker (whose family had ties to several bluegrass legends) and his father a union carpenter and construction worker, both pivotal forces behind his early development. Bolander didn’t get around to actively pursuing a music career until his freshman year of college. Long-standing best friend Kevin had a guitar and would show him various chord structures. Soon, Bolander snagged a cheap Ibanez electric guitar, and later a cheap Dean acoustic guitar to learn on. Stricken with an ache for live performance, he began jamming around town in various collectives, but again, it took him some time before he made the decision to step up to the microphone himself. In his spare time, he began to scrawl down various lyrics or melodies for potential material for the band, but his sensibilities were leaning quite heavily into the blues-folk arena, a mold that didn’t quite satiate his metal or rock status. His first EP, Unapologetic, emerged out of those songwriting sessions, and it was quickly evident he need to branch off on his own, permanently. His first proper full-length album, Postcards to Myself, arrived in 2016, further blurring the lines between his brawny rock-country blend. As you can already surmise, Bolander’s influences run far and wide, from the thick grunge-rock of Alice in Chains and Soundgarden to the rootsy traditions of Don Williams, Earl Thomas Conley, Keith Whitley and George Jones. 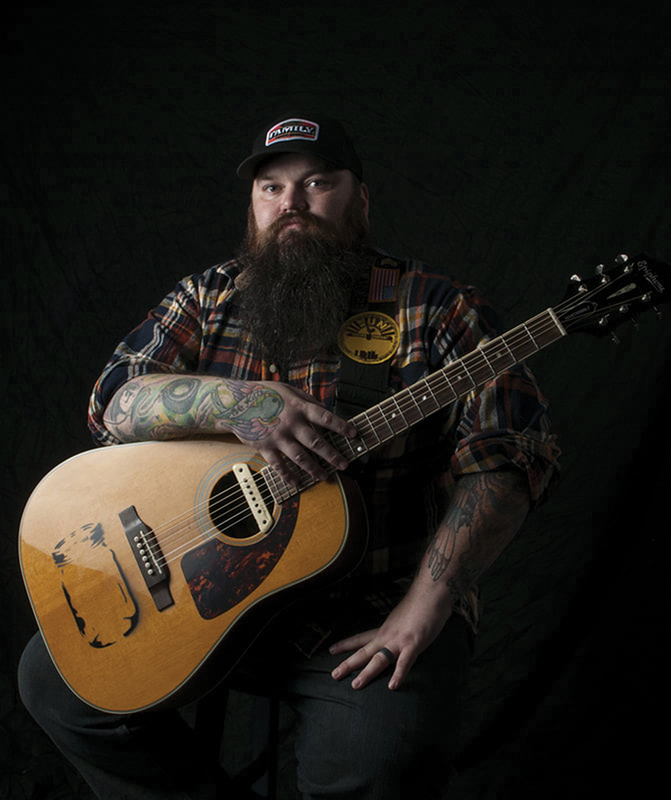 He contributes his biggest contemporary influence to John Moreland. Now an art teacher by day, guitar-slinger by night, Bolander gallops ferociously into the countryside with a sweeping Americana record. The Wind is at its very core a collection of authentic outlaw country tunes. He skirts the line of braggadocious storyteller and heartfelt poet with remarkable ease, as an acrobat tip-toeing a tightrope before leaping into the air. 10 songs almost feels like a lifetime, but you’d never know it in the way he frames each lyric and melody in tight structures. He stands firmly in the empty space somewhere between Bob Sumner and Jamie Lin Wilson, adhering to the same honeyed charm but with plenty more centripetal force. With The Wind, Bolander is damn well ready to soar on his own. A Kentucky Exclusive! Josh Mitcham (Jericho Woods) Is About To Unleash His First Solo Album And You Can Hear It Here First! Review: Buffalo Wabs & The Price Hill Hustle Premiere “Long Gone” Ahead Of Their ‘Stranger In The Alps’ Release.